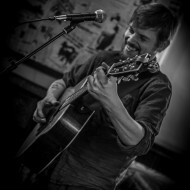 Local songwriter Tom Townsend returned to the Stephen Joseph Theatre for the fourth year running, and, as he was recently voted the best musician in Scarborough in the Scarborough UK Awards, my expectations could be said to be fairly high. The Monday Menu is a new initiative featuring weekly music acts in Farrer’s Bar at the Spa, Scarborough. Guests can join to have a relaxed drink or indulge in the meals on offer from the bar’s usual range, plus a special added for this musical evening. Friday 4th September saw the inaugural date of Friday Night Live, a new regular live music night at Utopia Bar, Bridlington. Harrogate lads 'Strangers in Paradise' brought prog rock blended with soul and hip hop to Staxtonbury 2015. With the constant cover bands heading on and off the Main Stage, it was certainly a nice surprise to have a band that brought original lively beats. Sheffield 4-piece 'The Sherlocks' headed over to the Yorkshire Coast this July as part of the Staxtonbury Music Festival 2015. Our contributor Raffy Parker chatted to the lads prior to their debut Leeds Festival set!